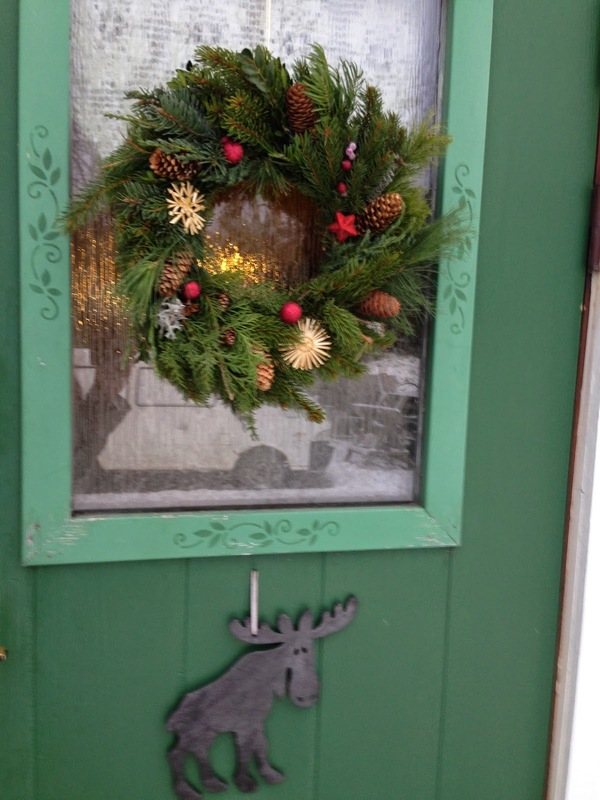 I just got this Christmas wreath from my Mom and immediately hung it on our front door. Don´t you think it´s stunning? 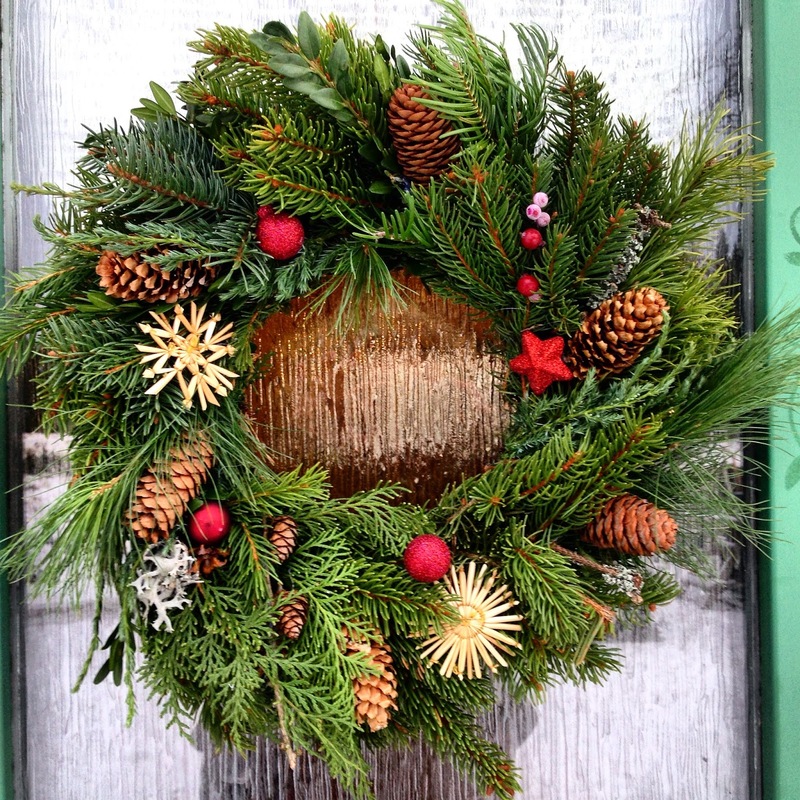 My mom is kind hearted and crazy enough to send me a big wreath like this all the way from Czech Republic to northern Sweden. That is over 2000km across the European continent! and I have finally been able to convince her, that she needs to make a few and offer them at the local flower shop and farmers markets. And typically for my Mom, she not only does a great, original work, but her prices are extremely reasonable. 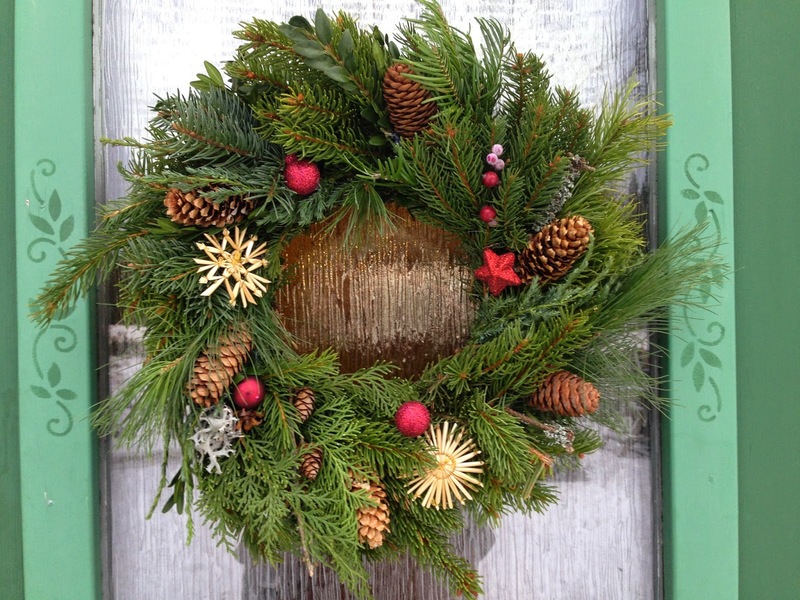 So if you wanna own a totally unique, 100% handmade with love, natural wreath like this one, contact my mom on Facebook - Ivana Paleckova. Thank you Mom, I love it!